Our office focuses on the well-being of women. This care includes prevention and therapy of problems of the pelvis, lower urinary tract, breasts, hormonal imbalances by both medical and surgical intervention. It encompasses such interests as family planning, sterilization, cancer screening and treatment, infectious diseases, menstruation, sexuality, abnormal uterine bleeding, pelvic pain, perimenopause, and menopause. Our staff is thorougly trained in operative gynecology. Your specific gynecological problem will be discussed with you in detail. We recommend that you consider maintaining your good health by having an annual examination. Many impending problems can be detected while they are still very easy to correct. 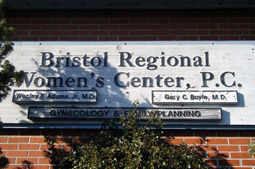 Copyright © 2009 Bristol Regional Women's Center P.C. All Rights Reserved.